Some of the most effective cleaning products can also be some of the most dangerous. Take bleach, for example. It definitely gets rid of dirt and grime, but it can cause all sorts of health problems—a DIY alternative is much safer. People are starting to pay a lot more attention to the negative side effects associated with common cleaning products, which is why natural and biodegradable cleaners are becoming more popular. If you're looking for a natural all-purpose cleaner, it doesn't get much more basic (and cheap) than this homemade citrus cleaner. 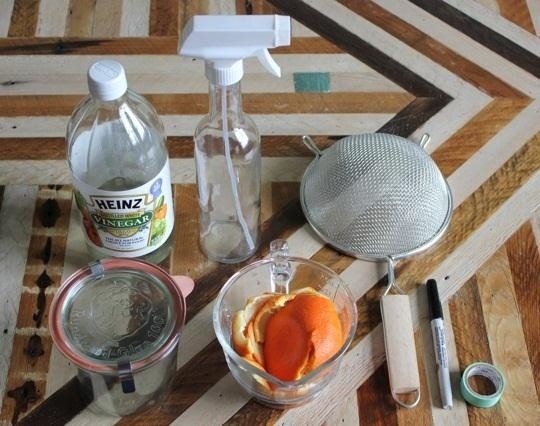 All you need is some citrus peels and distilled white vinegar for a more concentrated cleaner, and you can add water if you want to dilute it. 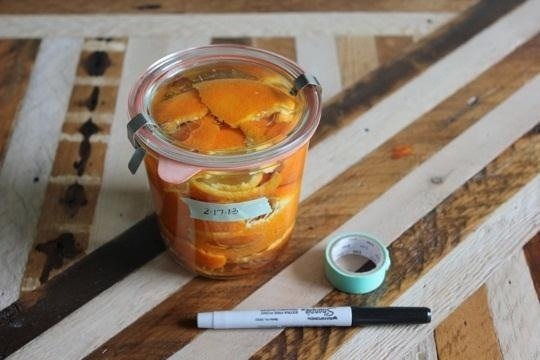 Just collect your citrus peels in an airtight container, cover them with vinegar, and let it sit for about 2 weeks. When the vinegar turns yellow and has a strong citrus smell, strain it, pour into a spray bottle, and get cleaning! You can check out the post over on Apartment Therapy for more details and tips.